Fluffy, chewy challa bread perfect for Shabbat. Sift flour into an extra large bowl. Add 1/2 c. sugar to the flour. In a separate bowl, dissolve 1/2 c. sugar into the water. Add yeast to the water. Stir gently to moisten all the yeast but do not mix. Allow the yeast to bloom 5-10 minutes. You will know it’s ready when a layer of foam has formed on top of the water. Add 2 eggs, slightly beaten to the flour and knead until combined. Add the water mixture to the flour and knead thoroughly. The dough should be sticky. If it is too dry to incorporate all of the flour, add additional warm water a few tablespoons at a time until the dough is moist enough to combine all of the flour. Add the oil, knead to combine. Add the salt, knead to combine. Spray the dough with canola cooking spray and loosely cover with plastic wrap. Allow the dough to rise in the bowl for 30-45 minutes. Take challah portion, wrap in foil and and burn on a gas burner. See notes below. Once the dough has risen, divide it into six equal portions. Spray your work surface with cooking spray and your hands as well to keep the dough from sticking. Braid the dough and place it into medium size loaf pans lined with baking paper. Allow to rise 45 minutes to 1 hour. Bake for 40 minutes. If using both oven shelves, be sure to rotate from top to bottom half way through baking time. Allow challah to cook completely. Store in Renyald’s Oven Bags. When sifting the flour, I put the whole bowl in my sink and sift it into the bowl there to keep from dusting the entire kitchen with flour. High gluten flour is better for bread because it creates elasticity which gives it a chewier, bread like texture. Use a digital candy thermometer to take the temperature of the water. The yeast will not bloom if the water is too cold. And if the water is too hot it will kill the yeast. If the yeast does not bloom then it most likely isn’t fresh and should be replaced. The dough should be super sticky. It takes a good bit of emunah (faith) to know that you will be able to work with it once it has risen. Sticky, wet dough = fuffy, moist challah. Dry crumbly dough = dry dense challah. If you’ve never done the mitzvah of taking challah you can learn about it here. In addition to spraying your work surface and hands with cooking spray when braiding the dough you can spray the balls of dough before you knead and shape them. This will keep them from sticking. Never add additional flour. Adding flour will make it dry and dense. If you would like to learn about braiding and shaping challah I suggest checking out Youtube videos. 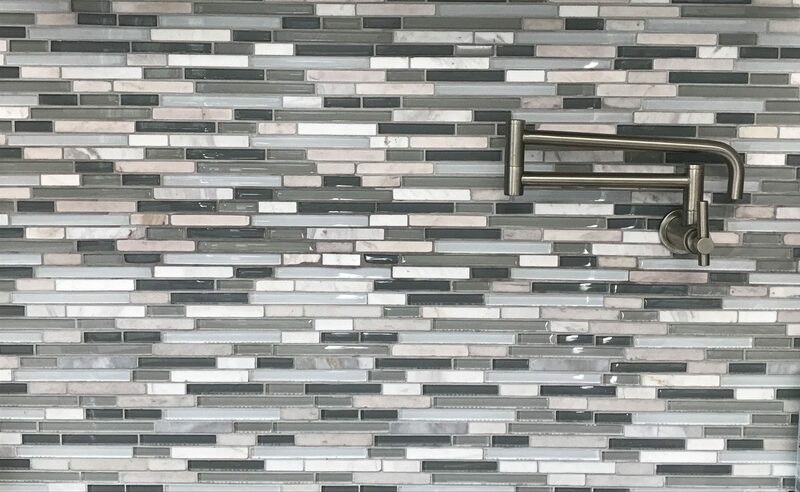 There are many options for 3, 4, 5, and 6 strand braids. I use a 4 strand braid which you can learn how to make here. I prefer to divide the dough into six equal medium sized loaves. If you want lager or smaller loaves then divide it into fewer or more portions. The baking time will need to also be adjusted depending on if your loaves are larger or smaller. Also I prefer to use Jetfoil aluminum medium sized loaf pans. This keeps the challah uniform in shape. If you don’t want to use the loaf pans the challah can be baked directly on a baking sheet lined with parchment paper. It’s easier to fit the challah into the pans if you lay them on the baking paper first and then transfer into the pan. 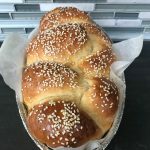 If you choose to use the egg wash and sesame seeds be sure to brush it on shortly after you put it in the pan before the challah rises a second time. If you wait too long it will deflate the challah. 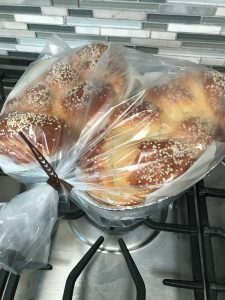 Renyald’s cooking bags are the best for storing challah in because you can take them right from the freezer and put them directly in the oven to reheat. They keep the challah from drying out and maintains that just baked fluffy texture. 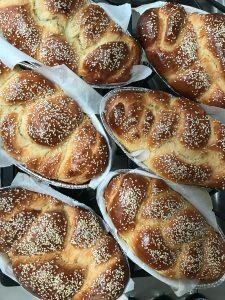 I love it and enjoy from this tasty challahs every Shabbat. Mind if I share your article on GPLUS? It’s very imformative! Feel free to share! Thanks!